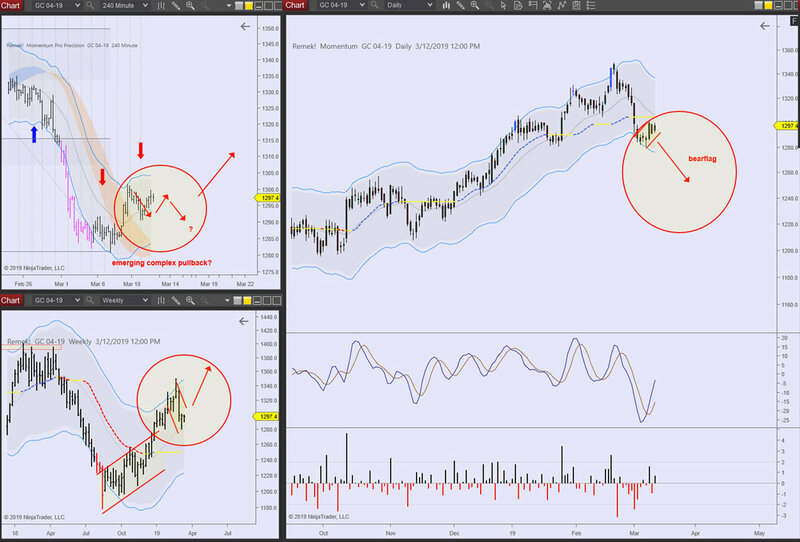 The GC charts below clearly show how GC is conflict on a various timeframes. What bullish pressure may have been present a few days ago seems to have waned with the agressive upward push on the indexes (see NQ below). As to the GC, we’re on the sidelines for now, under further notice (by the market). 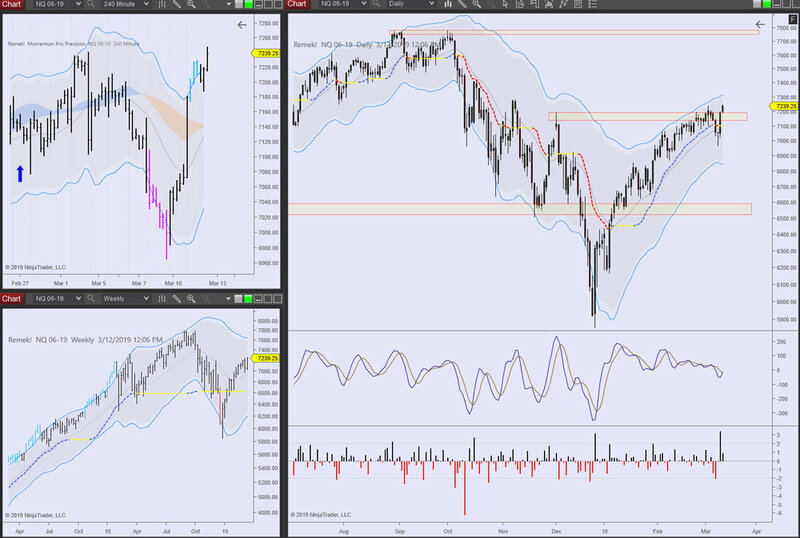 NQ 2019 03 12 - unfinished business at 7800?